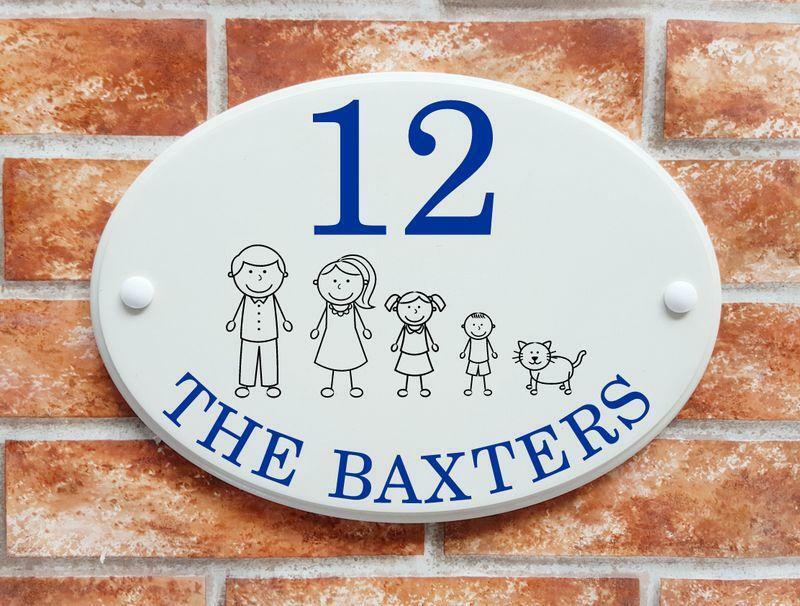 Have your family members represented as cute stick figures on this personalized oval house plaque measuring 300mm wide by 215mm high and 12mm thick. 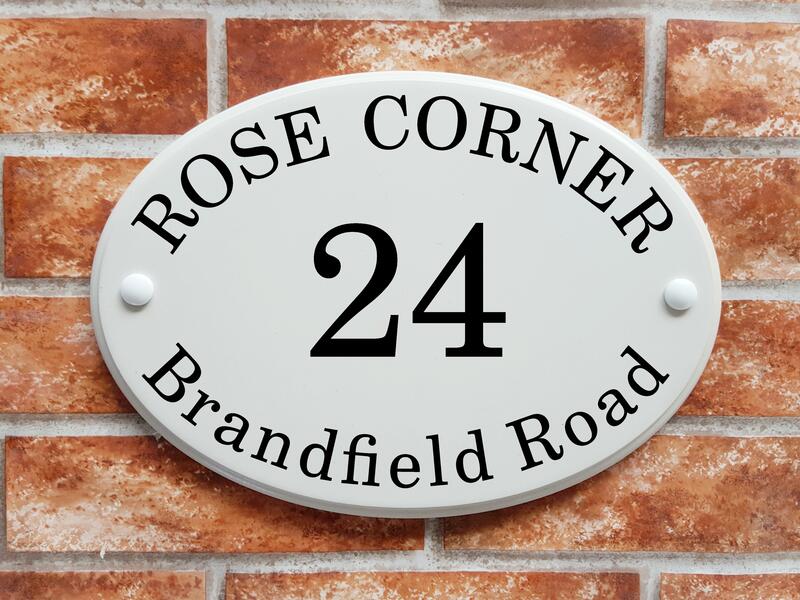 The base plaque is a solid casting of cultured marble which is a slightly off white ivory colour and is extremely weather proof. 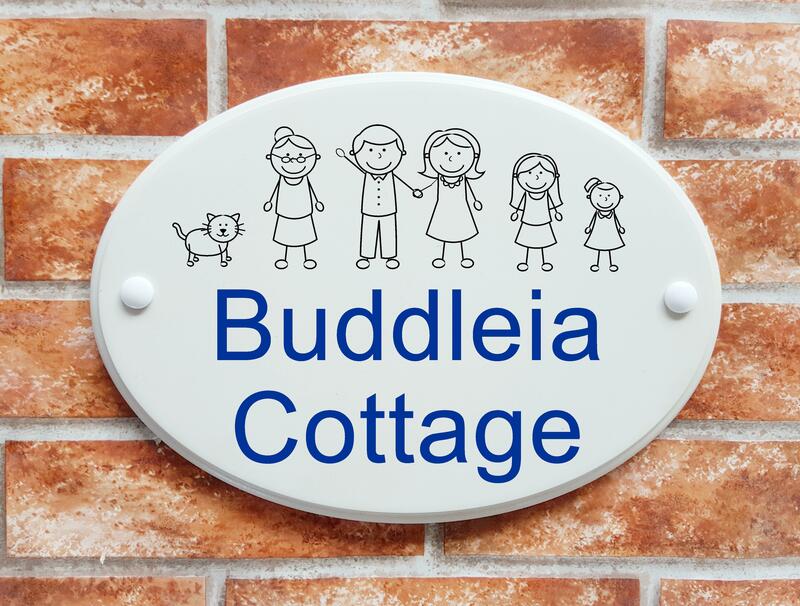 The wording and stick family is printed directly on the base plaque in UV resin ink - The latest printing technology giving long lasting weatherproof outdoor signage. 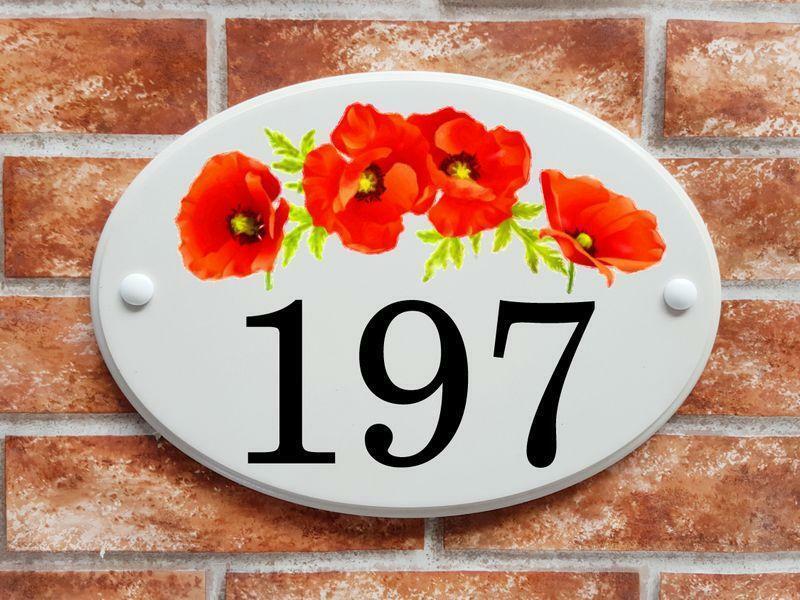 This oval house plate is suitable for displaying your house number, address, house name and Family name together with your choice of stick characters from our list. 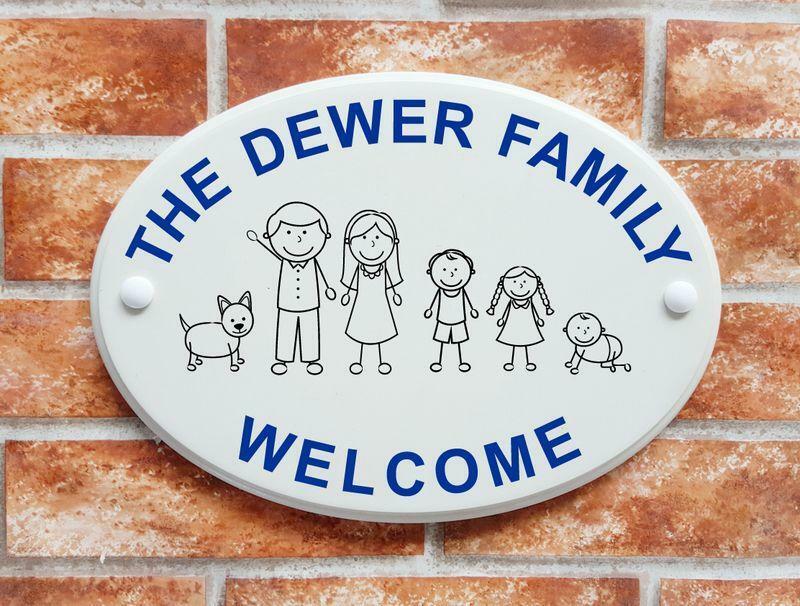 You can further personalize this welcoming plaque with a choice of 4 different text and number layouts, 7 different letter styles, 4 choices of black or blue colour ways and a choice of 41 different stick people to mirror the members of your own household. 1. 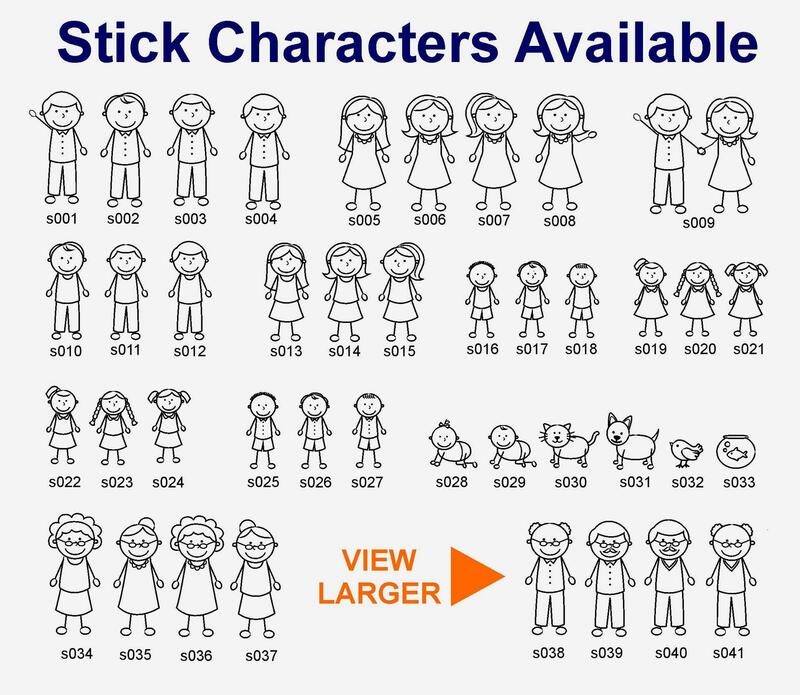 Check out the stick characters from our list and make a note of the code for each character you wish to have printed on your house plaque. 3. 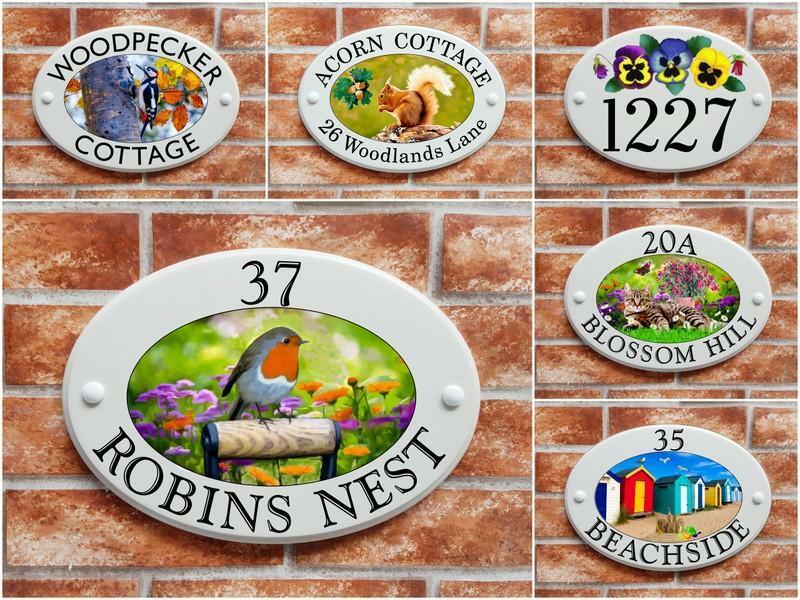 Choose the colour way option you would like house plaque to be. 5. 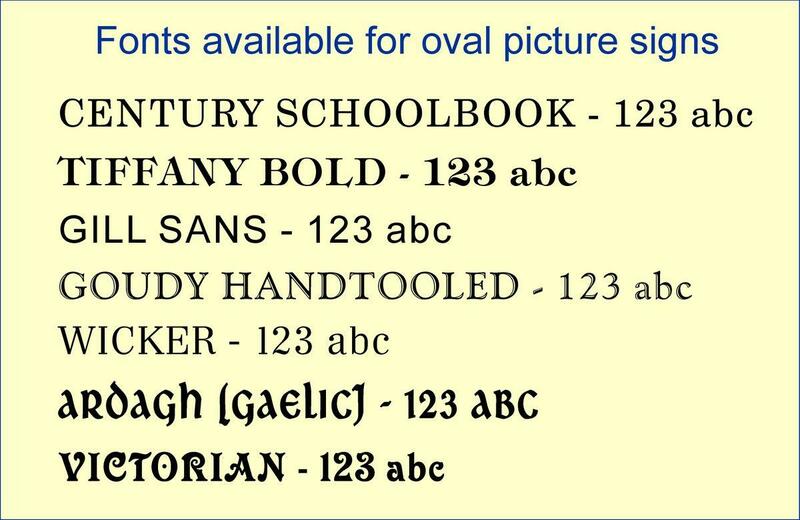 Choose a font. 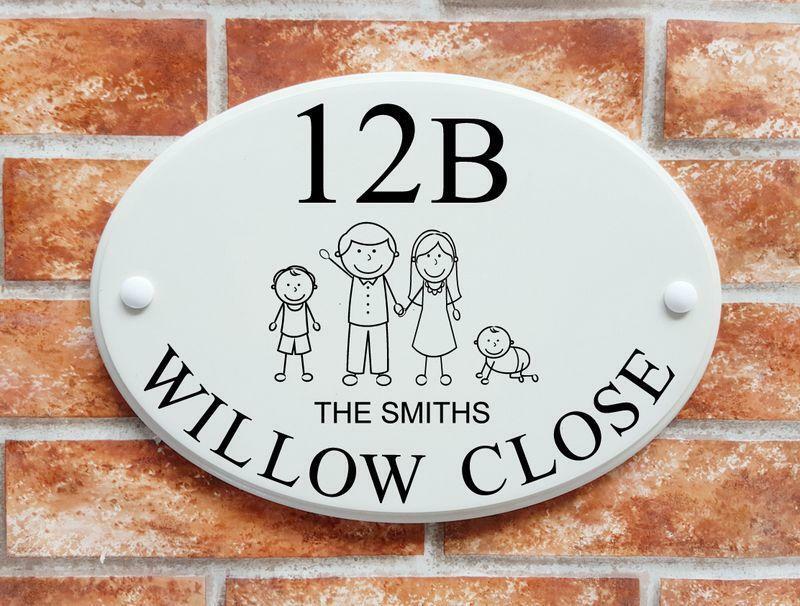 This sign is restricted to a choice of one of the seven fonts showing below. 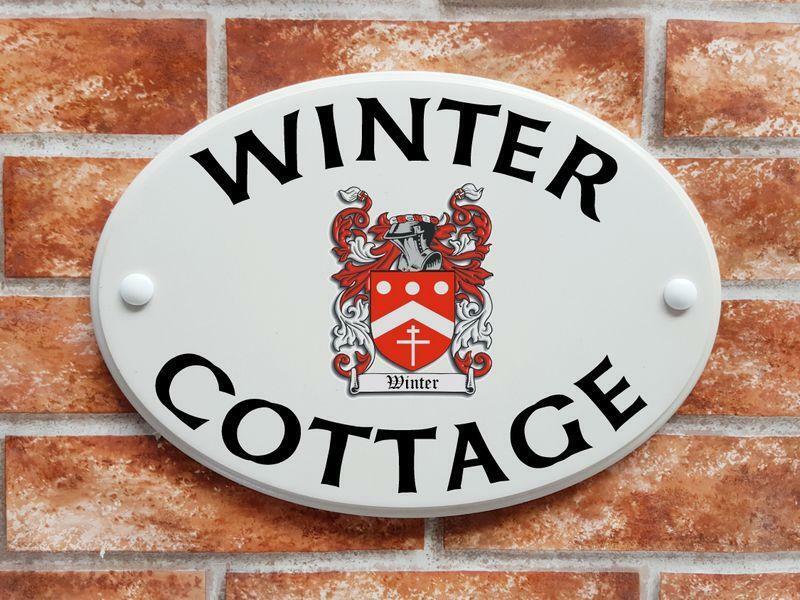 Wording in ALL CAPITAL LETTERS is recommended for the text on the top arch of the sign. 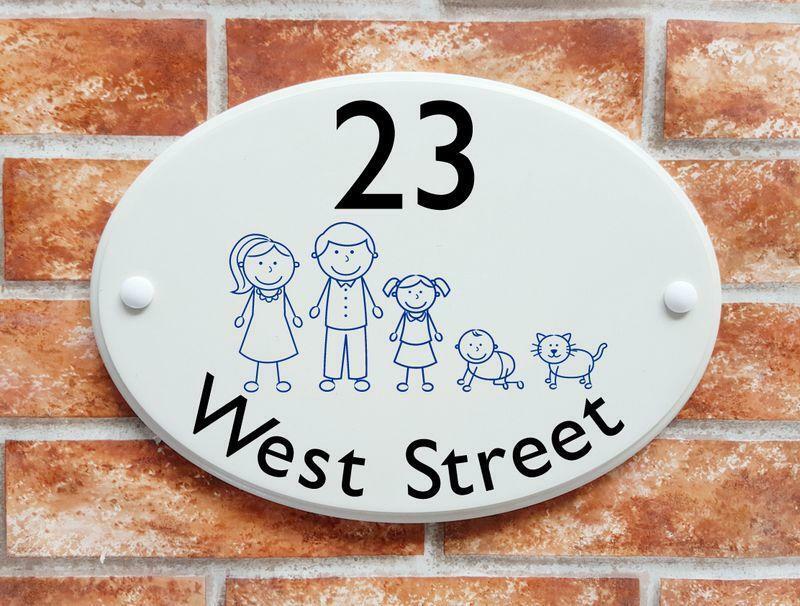 Capital and lower case letters are possible on the bottom arch of the sign but please bear in mind that if your required wording contains a g, j, p, q or y (in capital and lower case letters) we will need to reduce the overal size of the letters to fit within the confines of the arching space. Capitals only or Capitals & lower case?